The long history of travels to the northern most areas of the globe has been accompanied by an equally long tradition of textual representations of the North. Such representations span not only variations in geography but also a whole range of genres and scientific disciplines. This volume provides a wide-ranging, interdisciplinary investigation into some of the natural and cultural phenomena described in northern travel writing and documentary literature. The different chapters demonstrate how the images of the North have been shifting; the North has been conceived of as an uncivilised and dangerous space, but also as an idyllic, fascinating, and even politically paradigmatic region. Topics concerning natural phenomena, economic activities and infrastructure in the North are also addressed. 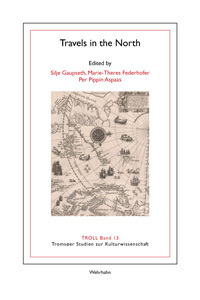 The three editors are all members of the interdisciplinary research group Narrating the High North, based at the University of Tromsø, Norway. In 2011, this group hosted a symposium on »Travels in the North« in cooperation with the Centre franco-norvégien en sciences sociales et humaines of the Fondation Maison des Sciences de l’Homme in Paris. This volume is based on the papers that were presented at the symposium.